A report released Wednesday by an advocacy agency for the disabled calls on San Diego-area government officials to take urgent action to address a "shocking" suicide rate at local jails. SAN DIEGO (CNS) - A report released Wednesday by an advocacy agency for the disabled calls on San Diego-area government officials to take urgent action to address a "shocking" suicide rate at local jails. More than 30 inmates have taken their own lives at area detention centers since 2010, a frequency that "far outpaces other county jail systems in the state" and lays bare a failure of care and support services for the mentally ill, according to the study by Disability Rights California. The DRC charges the county with locking up too many mentally unstable people and its report describes unacceptable jail conditions, " including insufficient staffing and solitary-confinement (policies that) subject people with mental health needs to a grave risk of harm." "The shocking number of inmates dying by suicide demands action by the county," the DRC document states. 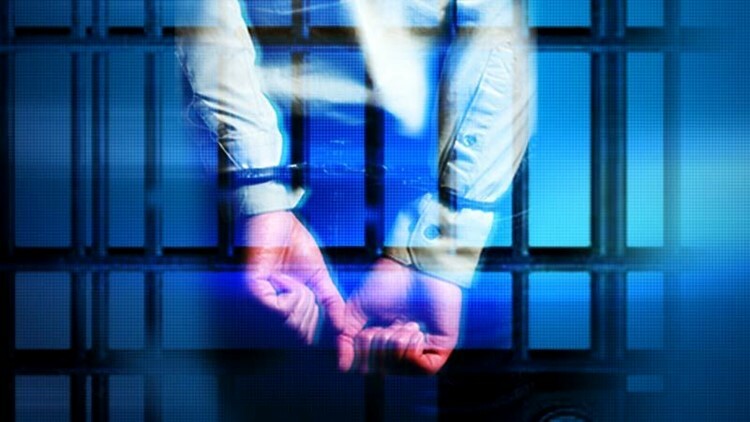 The San Diego County Sheriff's Department, which runs the region's seven jails, called the findings "misleading" and based on "a fundamentally flawed approach in comparing suicide data from different jail systems." The DRC, for its part, asserted that its conclusions stemmed from an exhaustive investigation that included tours of the county's detention facilities; "extensive" interviews with sheriff's officials, jail staffers and inmates; and reviews of "thousands of pages of relevant policies and procedures, Sheriff's Department records and individual inmate records." "The (local) inmate suicide rate has been many times higher than the rate in similarly sized county jails in California, the state prison system and jails nationally (for years). This is a crisis demanding meaningful action,' 'according to the report, titled "Suicides in San Diego County Jail: A System Failing People with Mental Illness." A major contributing factor to the grim trend, according to the DRC, is a practice of housing individual inmates away from the rest of the jail population. "Every day hundreds of men and women face solitary confinement, which has contributed to the high number of suicides and suicide attempts each year," DRC litigation attorney Aaron Fischer said. The report includes the following statement, described as written by a woman isolated in her jail cell: "This treatment is worse than people treat animals ... . Being locked in jail inside a box inside of another box can do things to a person's mental state." Though the county reported only one inmate suicide in 2017, its detention system "remains deeply challenged," according to the report. "The incidence of inmate suicide attempts and serious self-harm remains extremely high -- a rate of approximately two per week," the document states. "The frequency of suicide attempts indicates that the county must improve its treatment of people with mental health needs." Additionally, the investigation found "an extremely high number of jail inmates with significant mental health treatment needs," according to the DRC. "The county's mental health care system, both inside and outside of (jails), has long operated in a way that leads to the dangerous, costly and counterproductive over-incarceration of people with mental health-related disabilities," the report asserts. "This includes a historical failure to provide sufficient community-based mental health services and supports that help individuals with mental health needs to thrive and avoid entanglement with the criminal justice system and incarceration." In its 18-page response to the charges, the Sheriff's Department disputed the methods that led to the findings, citing a review of 2010-2017 jail-suicide data from the 10 largest California counties by former San Diego State University statistics professor Colleen Kelly. Kelly, who was retained by the county to look into the issue, concluded that the DRC's report failed to take into account "the significant diversity of jail systems, each having different size, demographics and, most importantly, different lengths of stay," according to the regional law enforcement agency. "To cite one key difference, San Diego had the highest percentage of white inmates of the 10 largest jail systems in California (2010-2016)," sheriff's officials stated. "This is important because statistics show that white inmates are six times as likely to commit suicide compared to African- American inmates and three times as likely to commit suicide compared to Hispanic inmates." Also, San Diego County "historically has a higher number of (jail) admissions ... than similar-sized systems in California," according to the Sheriff's Department. "It can be concluded (that) the more bookings in a system, the more inmates can be considered at risk for suicide. ... The net result is more individuals moving through the jail system and subsequently at risk for suicide," the county agency asserted in its response. Despite its critical findings, the DRC credited the Sheriff's Department with cooperating "throughout the investigation." "We firmly believe the jail system's leadership is committed to addressing the crisis of inmate suicides and improving conditions," Fischer said. "However, the county needs to step up to provide the resources and accountability necessary to solve what are serious longstanding problems." -- internal review procedures regarding inmate suicides.